Lactose is a type of sugar found in milk and dairy products. When dairy food containing lactose is eaten the body uses an enzyme called lactase to break down lactose into two sugars called glucose and galactose, which can be absorbed into the bloodstream. People with lactose intolerance produce some but not enough lactase to digest lactose and so it stays in the digestive system where it is fermented by bacteria, leading to the symptoms associated with lactose intolerance. Lactose intolerance should not be confused with a milk or dairy allergy. Food allergies are caused by an immune reaction to a food and cause symptoms such as a rash, wheezing and itching. If you suffer from IBS you may find eating foods containing lactose give you symptoms as lactose malabsorbtion is common. However most peoplewho malabsorb lactose can still consume foods containing small amounts of lactose without experiencing any problems (although this varies from person to person). I love using natural yogurt in my diet but I have found it quite difficult to buy a good lactose free yogurt so I made some myself using lactose free milk. This recipe for a low lactose yogurt will be perfect for anyone who wants to know exactly what is in their yogurt. It is smooth, gentle and a little bit creamy and you can flavour it as you like. Heat the milk gently in a saucepan until it reaches 85°C (185F). Remove from the heat and allow the milk to cool to 43°C (110F). This will take about 15 minutes. 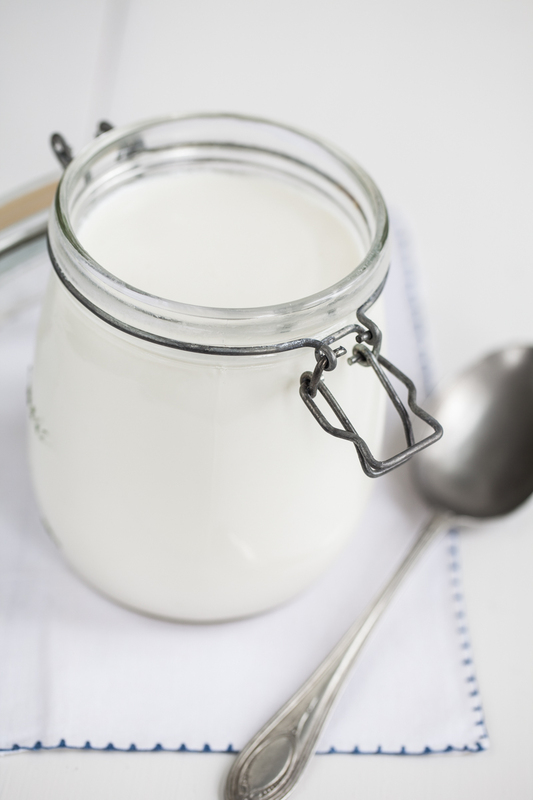 Stir the ‘live’ yogurt into the cooled milk and pour the liquid into sterilised jars. Cover the jar and set aside in a warm place such as an airing cupboard for about 8 hours. The yogurt should then be set. It can be stored in the fridge for up to a week. This yogurt is delicious unsweetened. It can be flavoured with a few drops of vanilla essence and a dribble of maple syrup. You can also stir in raspberry or strawberry jam. 04 Sep	This entry was written by Joan Ransley and published on September 4, 2014 at 11:27 am. It’s filed under Pudding, Snack and tagged cooking, dietetics, FODMAPS, healthy eating, IBS, low FODMAP, low lactose, yogurt. Bookmark the permalink. Follow any comments here with the RSS feed for this post. Older: Can I eat meat?